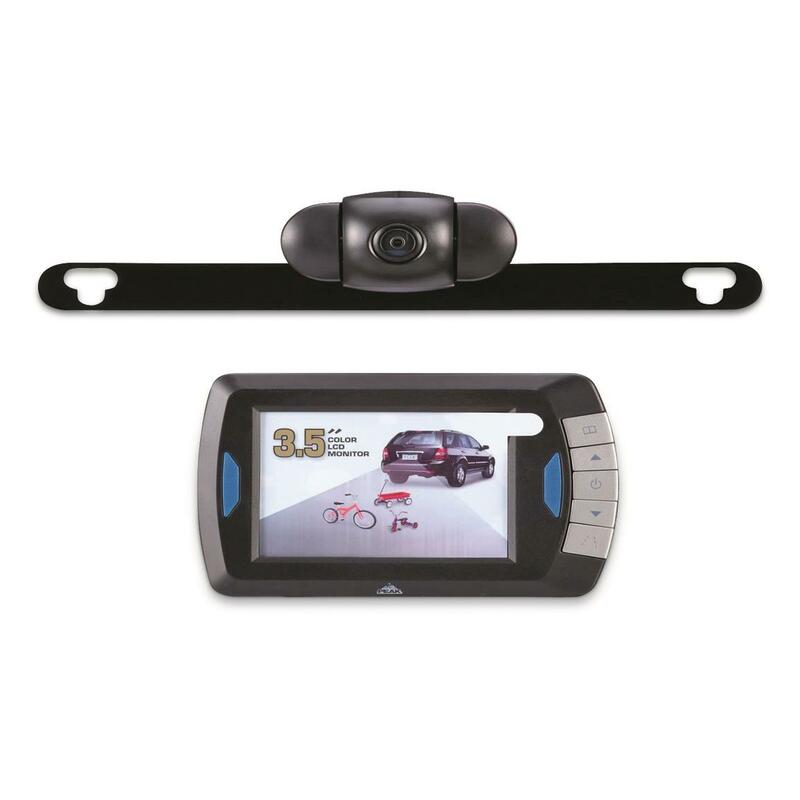 Easily install extra safety to any vehicle with a Peak Wireless Back-Up Camera with LCD Color Monitor. New digital technology eliminates interference and blocks "cross talk" from other Bluetooth® transmitters. The combination camera/tranmitter sends a wide 110° angle view to the 3.5" LCD color monitor. The water-resistant Camera mounts quickly to the license plate area of cars and trucks with the included hardware kit. The Monitor is placed in an adjustable mounting arm and remains in Stand-by mode until the vehicle is placed in reverse. 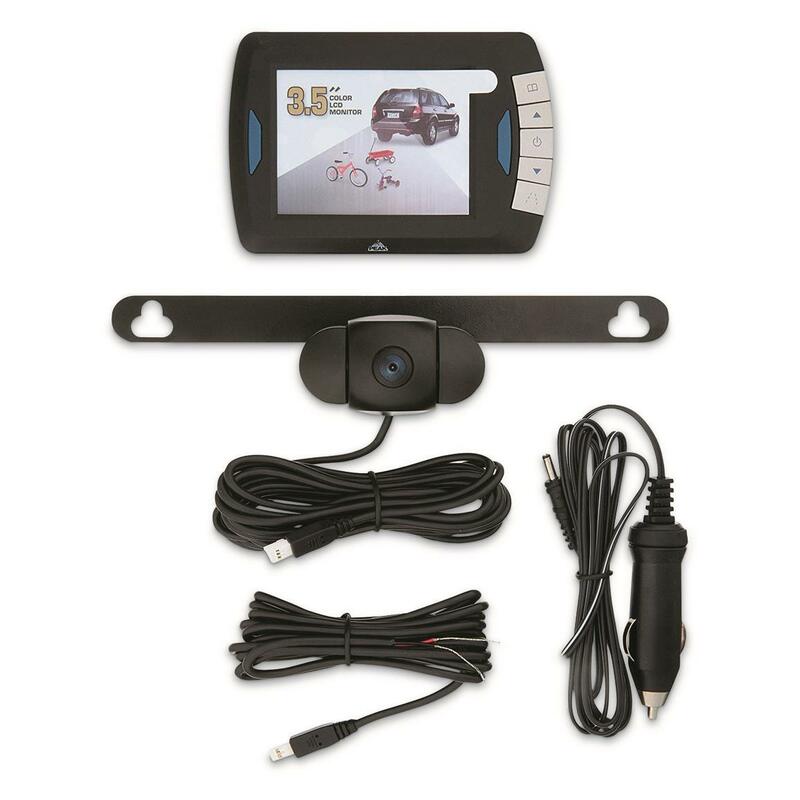 The 2-channel monitor/receiver accepts a second camera—perfect when towing a boat or camper.